J. Marin Heating & Air Conditioning is the premier provider of central heating and air conditioning systems design and installation services for homes and businesses in the Metro New Orleans area. With close to three decades of unmatched excellence and reliability in delivering top-notch heating and cooling systems services, you can always be sure that all your heating and cooling needs are in highly capable hands you can count on when you come to the trusted experts here at J. Marin Heating & Air Conditioning. Here at J. Marin Heating & Air Conditioning, client satisfaction is of utmost importance to us. We're here to build strong, lasting business partnerships with our customers, and we make sure to provide each client with the superior quality personalized service we've come to be known for. No matter how small or big your heating or cooling systems service needs may be, you can always count on the trusted experts at J. Marin Heating & Air Conditioning to deliver excellent service you're sure to love! J. Marin Heating & Air Conditioning is the premier provider of outstanding design and installation services for heating and cooling systems for new construction projects and historic homes. 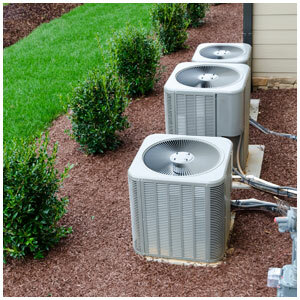 We also provide exceptional monthly maintenance services, annual inspections and tune-ups which include thorough examinations of air filters, cleaning & treatment of condensation lines, and a complete examination of your system's electrical components.